I am the kind of musician who figures out how things work, and in an environment like MIT, one finds students who can do a lot with that kind of information. Don Byron is a Grammy-nominated clarinetist, saxophonist, composer, arranger, and social critic who redefines every genre of music he plays: classical, salsa, hip-hop, funk, rap, R&B, klezmer music and German lieder, Raymond Scott's "cartoon-jazz," hard rock/metal, and jazz styles from swing and bop to cutting-edge downtown improvisation. Most of Byron's albums have been conceptual, devoted to works of a particular musician and/or style of music. 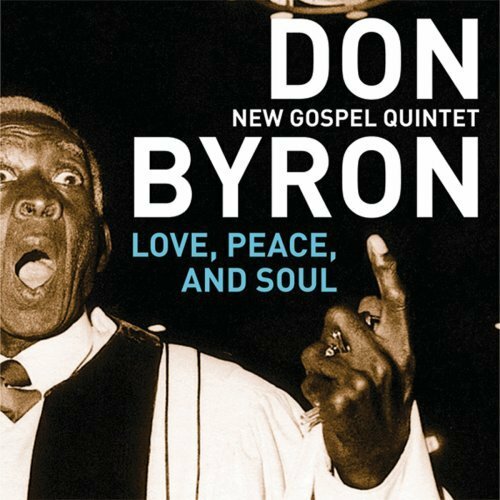 Though rooted in jazz, Byron has been a singular voice in an astounding range of musical contexts, exploring widely divergent traditions while continually striving for what he calls "a sound above genre". His artistic collaborations include performances and recordings with Mario Bauza, the Duke Ellington Orchestra, John Hicks, Tom Cora, Bill Frisell, Vernon Reid, Marc Ribot, Cassandra Wilson, Hamiet Bluiett, Anthony Braxton, Geri Allen, Hal Willner, Marilyn Crispell, Reggie Workman, Craig Harris, David Murray, Leroy Jenkins, Bobby Previte, Gerry Hemingway, DD Jackson, Douglas Ewart, Brandon Ross, Ed Neumeister, Tom Pierson, Steve Coleman, Living Colour, Ralph Peterson, Uri Caine, Mandy Patinkin, Steve Lacy, the Kansas City All-Stars, the Bang On A Can All-Stars, Medeski Martin & Wood, Angelique Kidjo, Carole King, Daniel Barenboim, Salif Keita, the Atlanta Symphony, Klangforum Wien, Joe Henry, Paul Auster, Meshell Ndegeocello, Allen Toussaint, and many others. Byron has taken part in an extraordinarily wide range of projects. From 1996-99, he served as Artistic Director of Jazz at the Brooklyn Academy of Music, where he curated a concert series for the Next Wave Festival and premiered his children’s show, "Bug Music for Juniors" (formerly "Tunes and ‘Toons"). From 2000-05, he was Artist-in-Residence at New York’s Symphony Space, where he established is Adventurers Orchestra through another concert series titled "Contrasting Brilliance," featuring his takes on music as diverse as Henry Mancini, Sly Stone, the pioneering hip-hop label Sugar Hill Records, Igor Stravinsky, Raymond Scott, Herb Alpert and Earth, Wind and Fire. Byron has written arrangements of Stephen Sondheim's Broadway musicals and original scores for the silent film Scar of Shame and a 1961 television episode by comedy pioneer Ernie Kovacs. He wrote and performed music for the dance companies of Donald Byrd, Bebe Miller, Mark Dendy, and Ellen Sinopoli, and was featured in Robert Altman's movie Kansas City and the Paul Auster filmLulu on the Bridge. He has composed the soundtracks for several documentary films, including director Joel Katz's acclaimed Strange Fruit about the history of the anti-lynching song made famous by Billie Holiday, and for Red-Tailed Angels, a film about the Tuskegee Airmen. Other soundtracks are "White," a study of race and child adoption, and "Joe Papp in Five Acts," a tribute to New York's iconic theater impresario. Composing commissions include "Spin," a duet for violin and piano premiered at the Library of Congress; "Red," a big-band suite premiered at the Monterey Jazz Festival; two string quartets - "There Goes the Neighborhood" for Kronos, and "Four Thoughts on Marvin Gaye" for Ethel. The album Ivey-Divey received a Grammy nomination for best instrumental solo and was voted Album of the Year 2004 by Jazz Times Magazine. In 2007, Byron was awarded a Guggenheim Fellowship and a United States Artists Prudential Fellowship. In 2009, he was a finalist for the Pulitzer Prize for composition for his "7 Etudes for Piano" and won The Samuel Baber Rome Prize for Composition, which came with a one-year residency at the American Academy in Rome, where he began work on his first opera. In April 2012, joining the First Class of Doris Duke Artists, Don Byron received the Duke Performing Artist Award. Also a gifted teacher, Byron has led residencies at the University of California San Diego, the University of Nevada Reno, Harvard University, and Columbia University. From 2005-2009, he was a Visiting Associate Professor at SUNY- Albany, where he taught theory, saxophone, improvisation, and composition. Byron is well known at MIT. During a visit in March 2005 he performed with poet Paul Auster and the MIT Festival Jazz Ensemble in a program titled, "Words and Music and Other Sonic Collaborations". In 2007-08, he was hosted by the Music and Theater Arts Department as a 2007-08 MLK Visiting Professor during which he taught a course on improvisation and coach a rock/funk chamber ensemble, as well as performed with faculty and students. Four years later, he returned to the Institute in a series of three visits as a 2012-13 Visiting Artist through Arts at MIT and the Music and Theater Arts Department. Byron worked closely with students from the Boston Arts Academy to present a gospel concert with his own New Gospel Quintet; the MIT Wind Ensemble, conducted by Fred Harris, premiered a concerto written by Byron with a clarinet solo by Kenan Sahin and Distinguished Professor of Music Evan Ziporyn. 2008 interview and performance of Don Byron with his project, "Ivey-Divey"